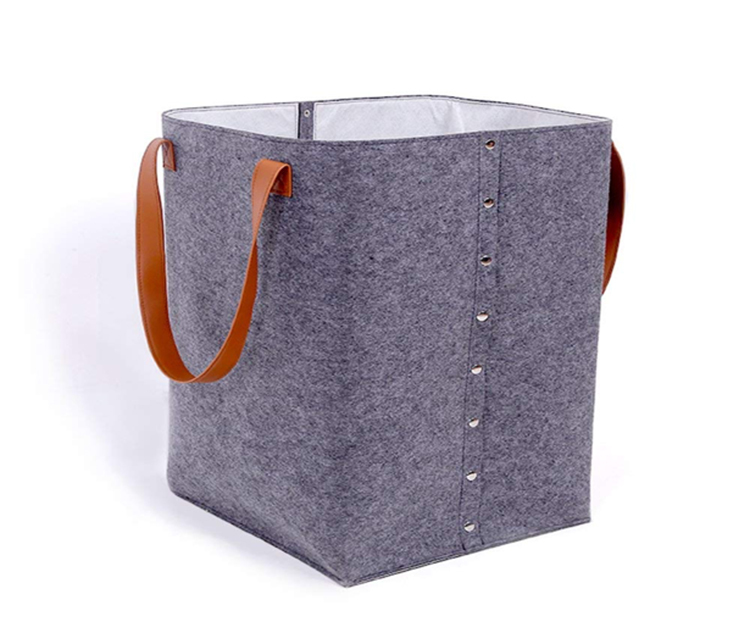 Constructed from easy-to-decorate felt, this sturdy color block tote has riveted sides, can be easily opened and folded and with fashion PU handles. its a budget-friendly way to carry almost anything. Made with 100% polyester. Approx.14.2 x 14.2 x 21.6 inches. Custom logo embroidery available. 14.2" x 14.2" x 21.6"
Package: 1 pc/poly bag, 40 pcs/ctn, 45 lbs/ctn.